Patients needing ‘inbed’ care, trust that their care provider’s decisions will keep them safe from both tissue damage and infection. It’s an unspoken and implicit expectation which covers everything from the choice of bed right through to the type of bed linen as well as the processes and procedures used during their care. For example, environmental surfaces around a patient play a critical role in the transmission of Health & Social Care Acquired Infections; an appropriate interface surface is needed to allow effective repositioning; and to avoid tissue loading, distortion and cell death. With pressure ulcers in the UK reaching an estimated £2.1bn annually, choosing ‘inbed’ care management solutions that protects patients’ tissue integrity makes sense from both an economic (budget holder) and care provider’s point of view. occurring in the first place. 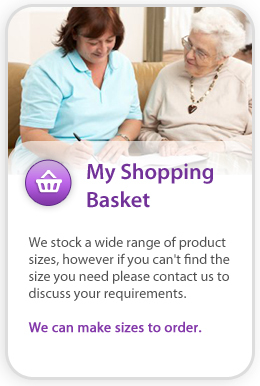 In our article ‘“Inbed care management: an alternative view”:http://www.phil-e-slide-uk.com/news.php?s=inbed-care-management-an-alternative-view’ we shared that nurses and carers want products that are both easy and intuitive to use to avoid injury to themselves whilst enhancing their ability to be compliant with safe patient care expectations and regulations. Whilst Inbed care management is evolving with the new technology now available, the widespread and consistent adoption can be challenging, due to the lack of knowledge about their existence between care-givers, care providers and their procurement teams. However, your choice of ‘inbed’ care management products can make a difference. For example, the Biotechsis “in bed” care management system was developed from the designer’s experience of observing the patient tissue damage caused by friction, skin distortion and sheer that often occurs when patients are being nursed and moved on traditional cotton sheets that interface with PVC coated mattresses. The fact that all the components in the Biotechsis ‘inbed’ care management system are also self-sanitising, with anti-static, anti-odour properties and together with intuitive thermo-dynamic micro climate control provides an ideal patient interface synergy that gives additional impetus for health and social care professionals to share their knowledge about them (see how this works in our Sitting Up In Bed video). If you were a patient requiring ‘inbed’ care, what would you choose?